I’m on vacation at the moment, visiting my folks in Tennessee. 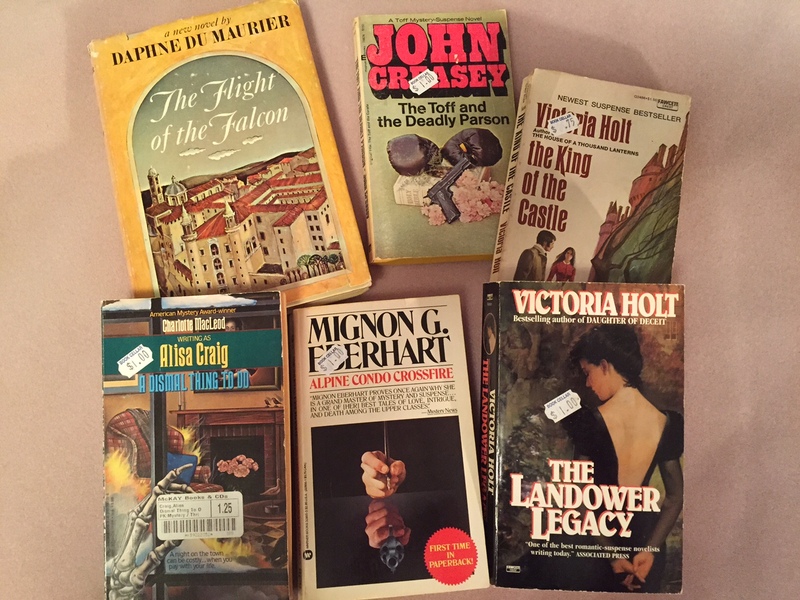 Whenever we come for a visit, I always try to get to the Book Cellar used bookstore in Crossville. They have a huge selection, and some of the best prices I’ve seen in a used book store. 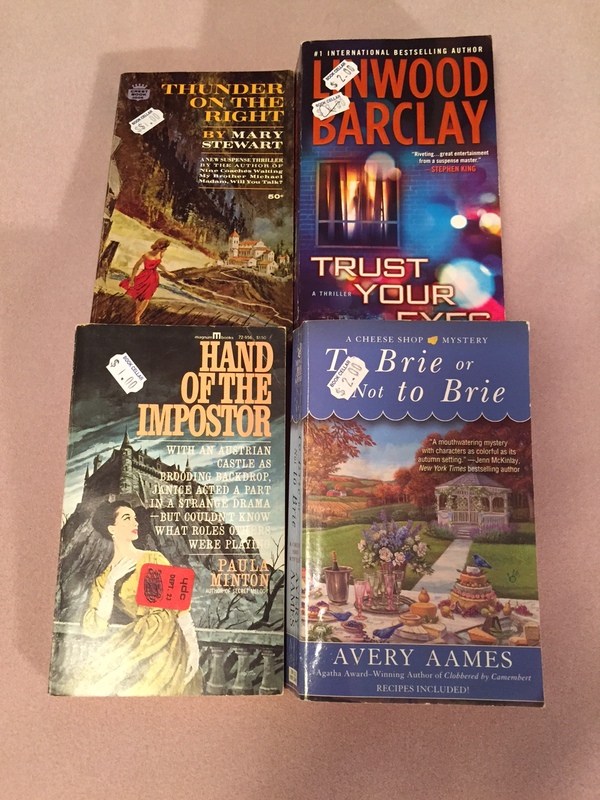 I picked up a couple of gothic romance novels, a thriller, and a cozy mystery. There was also a Tami Hoag hardcover with no dust jacket that I picked up. Couldn’t be happier with my finds today! If you live in the area and haven’t visited, you should. They’re at 184 Woodmere Mall in Crossville, Tennessee.